The McKenzie campus is located on 325 Cherry Ave., in the heart of McKenzie, TN. 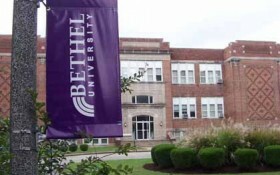 It is the main Bethel University campus for traditional Bethel students and CPS McKenzie on-campus students. There are nine classrooms available for student use, all equipped with wifi access. The Borough Learning Center has amenities for students to utilize for studying purposes, including internet, desktop computer workstations, and book resources. Students have access to several dining options, including the main Bethel Cafeteria, The Grill, Jack’s Pizza, and Chick-fil-A.